While sharing all the info on the farms I started realizing it may be a good idea to post a general post on how specialty coffee works in the Brazil, according to what I gathered from conversations we had while traveling many kilometers in the two days we visited, where it come from and how does a country that is so mechanized product specialty grade coffees? After the Second World War Japan actively promoted emigration to many countries. the most popular ended up being Brazil. In fact the Japanese population in Brazil is the biggest outside Japan. The Japanese worked the farms (including the coffee farms) and as they gained interest in the country started buying farms and this is probably where the quality processing started. Before the 90’s all coffee was stripped picked and processed as one lot on drying patios the so called natural process (in the coffee world this has now been named the dry process to prevent confusion, since what other companies call the natural process is actually the washed process). it is thought that the Japanese, then the German and Italian immigrants started concentrating on quality. This created a demand for these higher quality coffees, and this promoted growth. There was a great frost in the 70’s that destroyed the Brazilian crop and this attracted these immigrant to purchase farms that were going cheap, as farmers left the land. The farms were re-established and around the 90’s Brazil started automating all its coffee. The automation was designed around separating the coffees into different ripeness level. since this had started already. 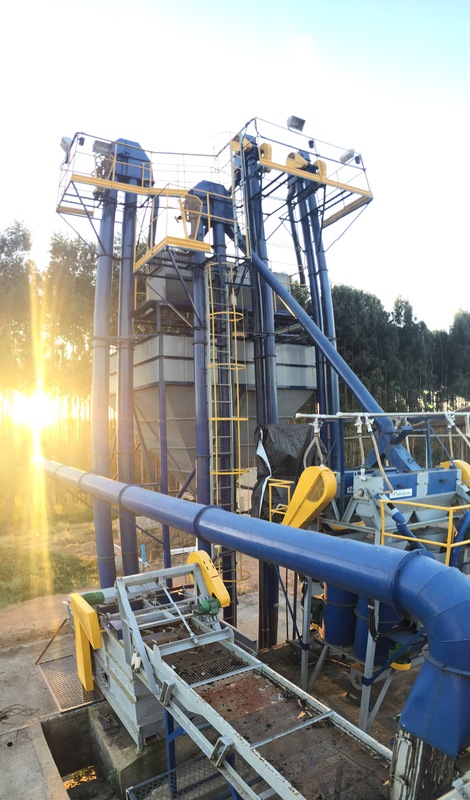 The coffee are mechanically picked and separated per lot and dried per lot. An interesting fact is that since most of Brazil’s coffee is technically low land grown, they have tested weather or not growing in shade at these altitudes has helped. The Brazilian Coffee Research organization worked with farmers testing shade and none shade grown coffee, and found that the coffees being produce in Brazil had no noticeable benefit to growing in shade. This is why almost all the coffee in Brazil is grown in plantations with tractor width rows of coffee sometimes kilometers long. So this means coffee in Brazil is not shade grown and is now not hand picked. So what is the basic process. Firstly they wait until the dry months for the coffee to be ready this is normally May-June. Normally by early May the top part of the coffee trees are ready, or mostly ready (there are some complication here but just exclude them at the moment). The mechanical picker are then set to a specific vibration and to only pick from the top and each row is mechanically picked twice. At this point most of the coffee from the top of the bush that is green, ripe or over ripe will be picked. They are then mechanically separated using screens and water. All over ripe coffee, sticks and damaged coffee floats. This is removed first. Then the ones that sink are broken up in to green and ripe. This is done by pressing the cherry and if it is soft then it is ripe if not it is separated to be processed as green coffee. 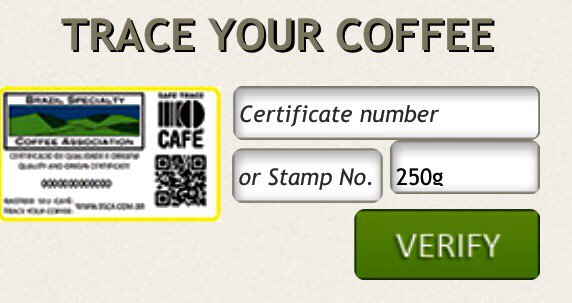 The green coffee and over ripe coffee are removed and processed in their own way. Some of the over ripe have unique characteristics and are processed in separate lots. The green and damaged are processed and normally released to the local market. the red is what will end up at the co-operative, or what the farm may sell direct. 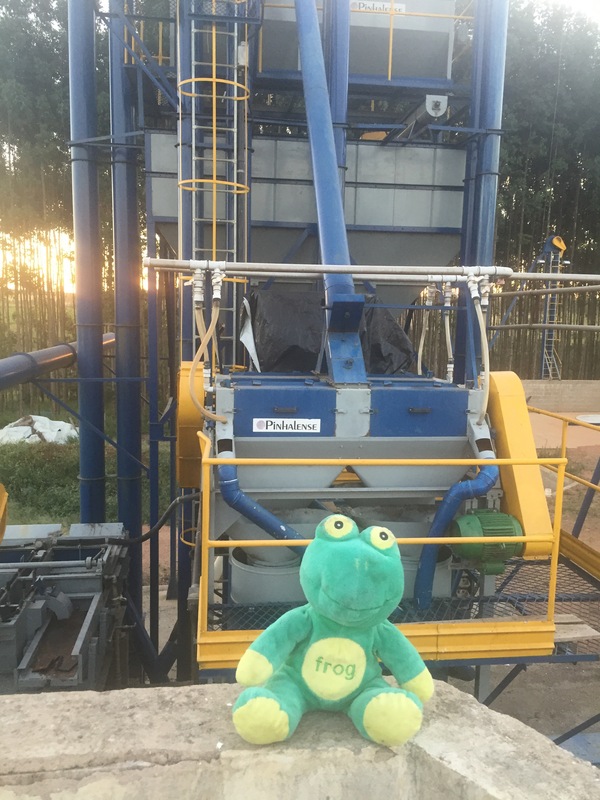 Frog Quaffer sitting in front of one for the mechanical serperator at Montanari farm São Paulo. The coffee is then processed using the initial process the producer want to use natural (as is) pulp natural (they remove the fruit) or washed (normally stored in cherry then washed then fermented for a determined time). At this point the coffee is dried using either patios or raised beds (these are becoming more and more dominant, since the producers are happy with the results). Weather on patio or raised beds they are tossed regularly. If it should rain during this process the lots are separated and normally sold to the local market. Once the coffee has reached the desired moisture level (it normally takes 5-6 days to go from around 40% to 18%) the coffee is further dried in driers that run at no higher than 35 deg C) so that the moisture content is lowered to the level the producer wants (around 11% for the farms we went too). At this point the coffee is either shipped to the co-operative or more typically stored in wooden silos like at Fazenda Freitas for up to a week, where it settles. Then it is packaged in 1 tonne bags a shipped to the co-operative (or in some cases direct to clients). The samples and the notes taken on the sample at Expococcer. They also cup these and if they find something interesting investigate further. Above Producers bags waiting to be processed by the size and defect sorter that the co-operative run. Below one of the defect removal sorting trays. We have covered what happens to the coffee once it goes to the co-operative we visited, so you can red more under that section. This makes a lot of sense in Brazil. The country is based n socialist principles and having societies run by the farmers (or co-operatives) is the way that bests suits their culture, and it works for them. They also are the largest producer of coffee, so it is working for the rest of the world too. If co-operatives like Expococcer are then separating the coffees first on screen, then cupping score (for screen 17 and 18 only) and then paying extra for quality and certification this system is a way to get specialty grade coffee en mass to the world. 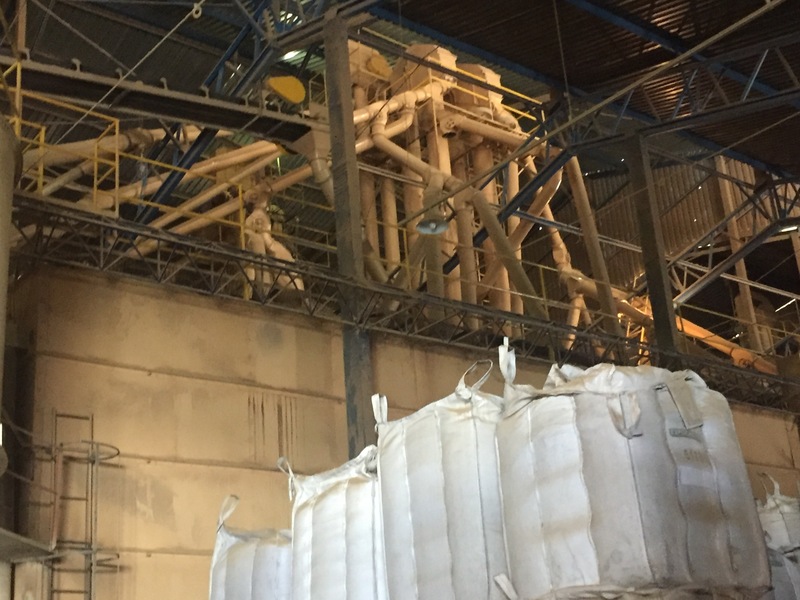 Expococcer are working hard to maintain their 30% aim of production being specialty grade. But there are other co-operative that do not they bulk blend the coffees and ship them as per screen size and certification only. The largest co-operative in Brazil does just that. And that co-operative is responsible for more coffee than many large coffee growing countries produce. With initiative like the BSA that allow full traceability back to source, and only for coffees that have good cupping scores this is probably the best quality coffee can be in the largest producing country with no real highlands and very few almost no small producers. And To rely on a sample size and mechanical processes to identify the coffees, then one cup the ones that are the largest is an efficient way to achieve what they have. The level of detail is down to the producers. If they want to concentrate on quality they get rewarded, yes at a price that is tied in to the C market but until the there is a viable alternative this is the way it will be. And if you look at what the Ethiopian Commodity Exchange has done is this not the same? They are essentially a government controlled method to do what the farmers in Brazil have done on their own in setting up cooperatives like Expococcer. Hallo writer, can I use your article for my roasting-book reference?